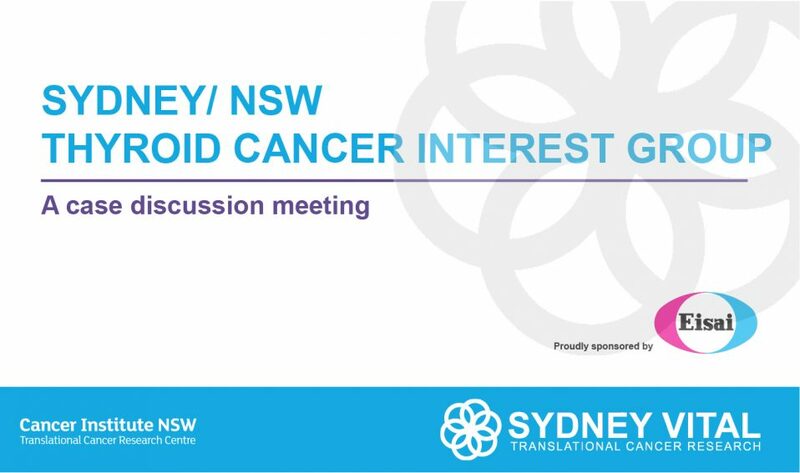 Sydney Vital and Eisai would like to invite you to attend Sydney/ NSW Thyroid Cancer Interest Group: A Case Discussion Meeting on Tuesday 28th May, at The Urban Hotel, Sydney, we hope you will be able to join us to share your knowledge and experience at this event. A live-streaming webcast will also be available (More Details to be Advised). 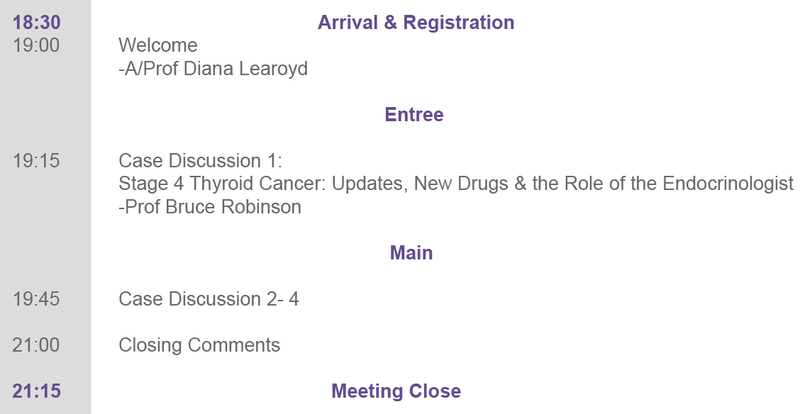 Why Attend the Thyroid Cancer Interest Group? Thyroid cancer is the commonest malignancy of the endocrine glands. This event will highlight new approaches to managing thyroid cancer, adopting a highly personalized approach tailored to a patient’s specific risk. Endocrinologists, Endocrine Surgeons, Radiation Oncologist, Registrars, Fellows, Nuclear Medicine Physicians and other health care professionals with a specific interest in Thyroid Cancer and its treatment.